Since there are so many similar products in the market, you need to give customers an extra reason to buy from you. This explains why marketers like to tag along branded freebies or small gifts with products and give out to consumers. The making of such branded gift can be easy. 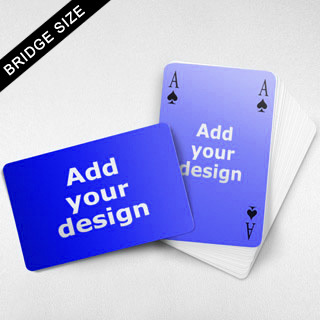 Simply place your company logo and image on the card surfaces and backs, that makes a perfect design. You don’t even have to find a designer or production house to do this. Just do it yourself with our online builder, the process can be completed within 20 minutes.